FFA - CAIR whines that elections official will not reinstate voting precinct at mosque the president of which advocates Sharia cutting off of hands. FFA subscribers’ emails that encouraged official made a difference. Click here to send your email to thank Palm Beach County Supervisor of Elections Susan Bucher for her decision to move the polling location to a public library. When Florida Family Association sees a public official like Susan Bucher, Palm Beach County Supervisor of Elections, willing to take a stand for the rights of the public at large against harmful Sharia minded Islamists it is important to stand with them regardless of their party affiliation. Especially when CAIR joins in with their intimidation and threats. There is nothing like receiving a few thousand emails thanking and validating an official’s decision to add to their confidence to stand their ground. 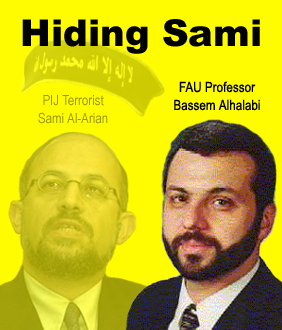 Florida Family Association sent out an email alert on July 11, 2016 titled: CAIR pressures Palm Beach County Supervisor of Elections Susan Bucher to reinstate voting precinct at a mosque the president of which is the Florida Atlantic University professor who advocates Sharia sanctioned cutting off of hands. See original email below. The email alert asked subscribers to send emails of appreciation to Susan Bucher, Palm Beach County Supervisor of Elections. The email sent by subscribers thanked Bucher for her decision to move the polling location from the Islamic Center of Boca Raton to the nearby Spanish River Library. Thanks to the emails of support from Florida Family Association subscribers Susan Bucher is standing here ground. She is not bowing to CAIR’s threats and intimidation. CAIR issued a press release dated August 10, 2016 titled Supervisor of elections Butcher in Palm Beach County holds firm to bigotry. CAIR would rather call an elected official a bigot and concerned citizens Islamophobes than recognize that Bassem Alhalabi's public statements and associations are troublesome to many people. The Palm Beach Post and Washington Post published reports regarding Florida Family Associations campaign. The Palm Beach Post report was less biased than the Washington Post article. Susan Bucher is standing by her decision to move the precinct thanks in part to emails received from thousands of Florida Family Association supporters. A special thanks to everyone who took the time to send emails. Given the fact that CAIR published a report on this issue on August 10, 2016 more emails of appreciation sent to Susan Bucher would appear appropriate. Contact information: Susan Bucher, Supervisor of Elections. 240 South Military Trail West Palm Beach, FL 33415. Email: susanbucher@pbcelections.org.